This time I cannot be objective, because today I created an Android application for the very first time and I created a Windows Phone application (definitely not for the first time). So what I am really doing is comparing my first Android experience with my first Windows Phone experience, way over a year ago already. At that time, even with the beta tools installation was a simple one click operation, after which I could create a typical hello world application and immediately execute it on the emulator. The whole process took less than 30 minutes. Even though Silverlight was new for me, I was of course familiar with Visual Studio, C# and the .NET (Compact) Framework. Today I did something similar. I already described my experience installing the Android development tools. Now it is time to try my first application on Android. I have to admit that I have no experience at all with Java or with Eclipse, so my comparison is a bit unfair. That is also the reason to chose a very simple Hello World application to get going. Of course this is a good idea in general, since such a simple application can quickly be used to verify if the development environment is installed correctly and to see if things simply work. 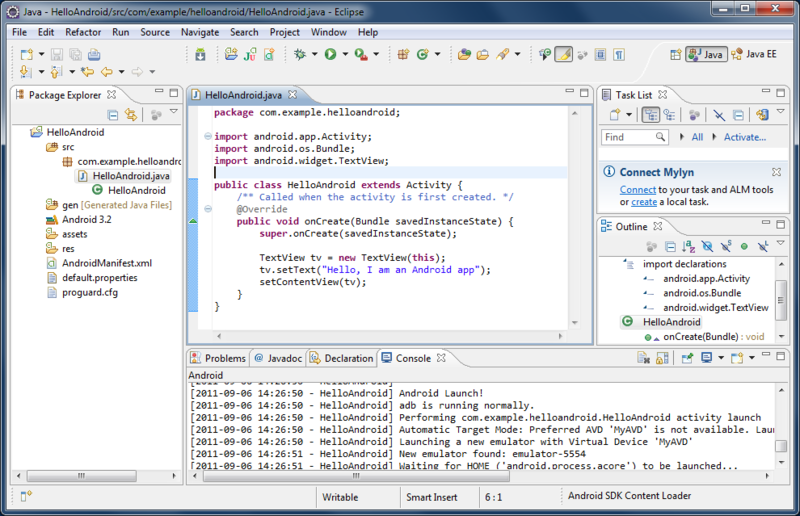 Before I could get to work, I first needed to add an Android Platform in my Eclipse environment. This additional step is necessary because Eclipse is a versatile development environment and because there are different Android versions. The other thing that needs to be done is to actually create an Android Virtual Device, which is the emulator that can be used as target to run / test applications. Building an AVD takes some time, but is not really a bad thing. At least you know that you will have a target for a specific Android version. Creating a new project differs slightly between Windows Phone and Android. The same is true for the functionality of the application. The two differ because they are using different development environments and programming languages, but they are of similar complexity. It turns out that this error is caused by spaces in directory paths. I am not sure if this is an Eclipse issue or an Android SDK issue, but a solution to this problem was to create a logical link to the folder where the Android SDK was installed using a Command Prompt. This did the trick (of course after making sure inside Eclipse that the IDE now pointed to the newly created logical link). MKLINK /J C:\Android "C:\Program Files (x86)\Android\android-sdk\"
It seems that this was simply a timeout error, because it takes quite some time to boot the AVD. Once it was entirely booted I tried running the application again and this time it was successful. The scores for this exercise are clear. I needed to solve two (more or less cryptic) problems before I was able to run my application on the Android emulator. 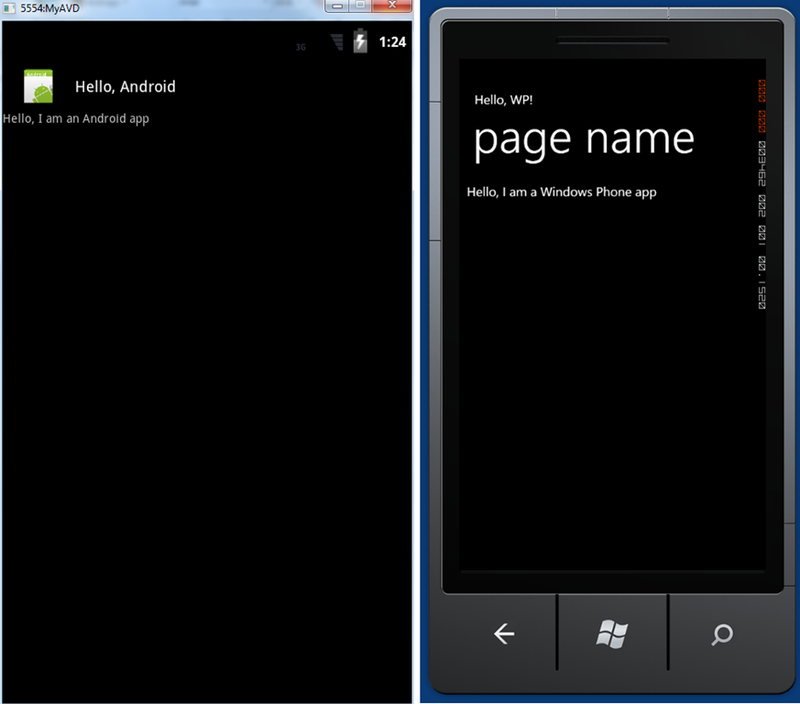 Deploying to the Windows Phone emulator caused no problems at all. 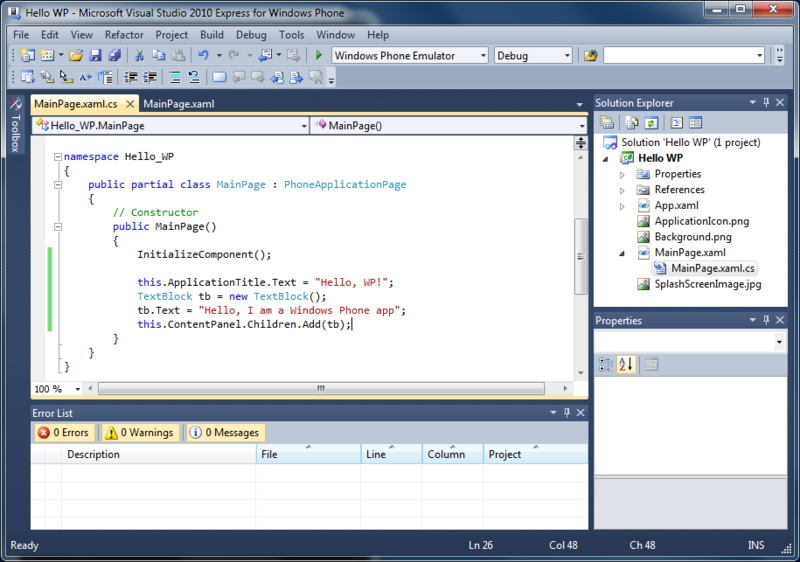 Booting time for the Windows Phone emulator was around 30 seconds, the Android (3.2) emulator needed several minutes. The reason why Windows Phone is a clear winner for me is the fact that deploying to the emulator just works and that the emulator boots relatively fast. The point I gave to Android might in fact belong to Eclipse. I really love maximize icon in the edit window, great for demos and something that I would not mind having in Visual Studio as well.